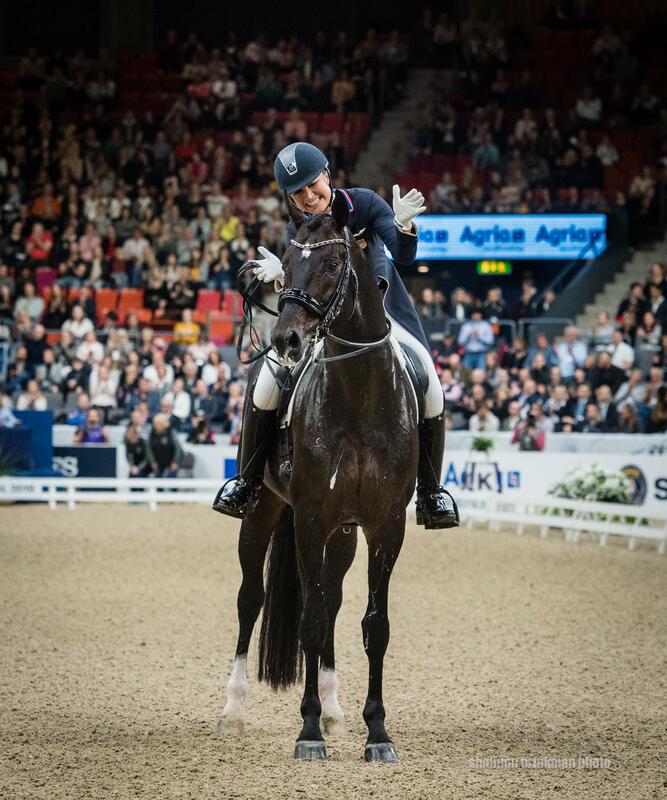 Gothenburg, Sweden – In the dramatic conclusion of the FEI Dressage World Cup™ Final, Laura Graves and her loyal mount Verdades piaffed their way to silver in front of an enthusiastic Swedish crowd of more than 11,500. Showing the strength of the American dressage program, all three U.S. combinations broke the top seven with scores over 80%. With a final score of 87.179%, Graves (Geneva, Fla.) and her and Curt Maes’s 17-year-old Dutch Warmblood gelding gave now three-time World Cup champion Isabel Werth (Germany) and Weihegold OLD a run for their money. With 10 combinations scoring over 80%, it was a tight race to the finish and Graves rode 14th in the order. Kasey Perry-Glass (Wellington, Fla.) and Goerklintgaards Dublet, Diane Perry’s 16-year-old Danish Warmblood gelding, were the final U.S. combination in the ring. Their dynamic freestyle was a crowd favorite, earning them a staccato of applause as they made their final steps and salute to the judges. Their highly technical and well-executed performance earned them a score of 84.975% and fifth place. Adrienne Lyle (Wellington, Fla.) and Salvino were first down centerline for the U.S. She and Betsy Juliano LLC’s beautiful and dark 12-year-old Hanoverian stallion laid it all on the line for a knowledgeable and engaged audience. Scoring a personal freestyle best of 81.832%, the combination would finish in seventh place in their first World Cup Final appearance, Salvino’s first indoor event, and in only their third performance of this particular freestyle test. 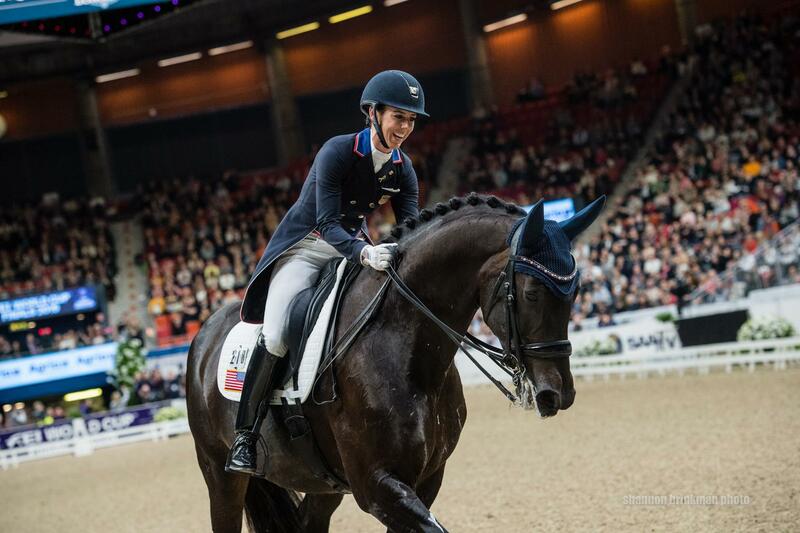 Germany’s Isabel Werth finished on a score of 88.871% for the top of the podium, while fell countrywoman Helen Langehanenberg and Damsey FRH finished in third on a score of 86.571%. For U.S. dressage coverage all year long, follow US Equestrian on social media on Facebook, Twitter, and Instagram. 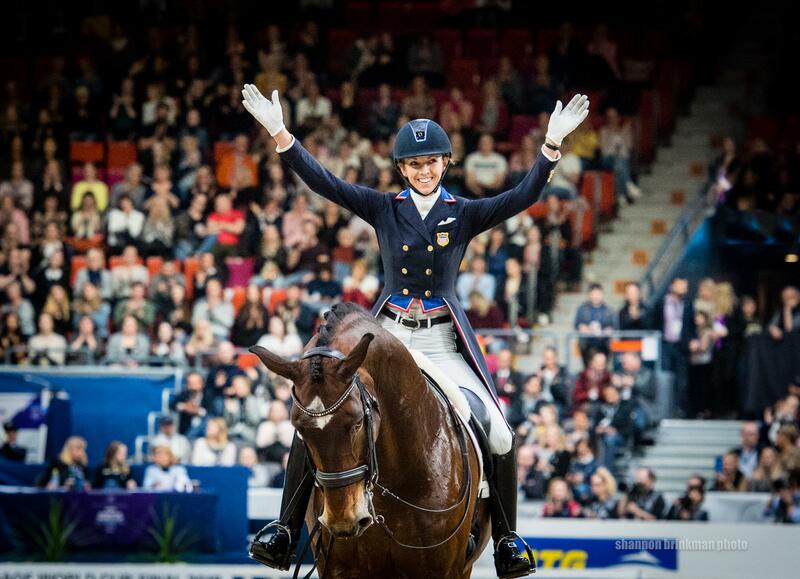 Follow USA Dressage on Facebook @USADressage and use #USADressage.